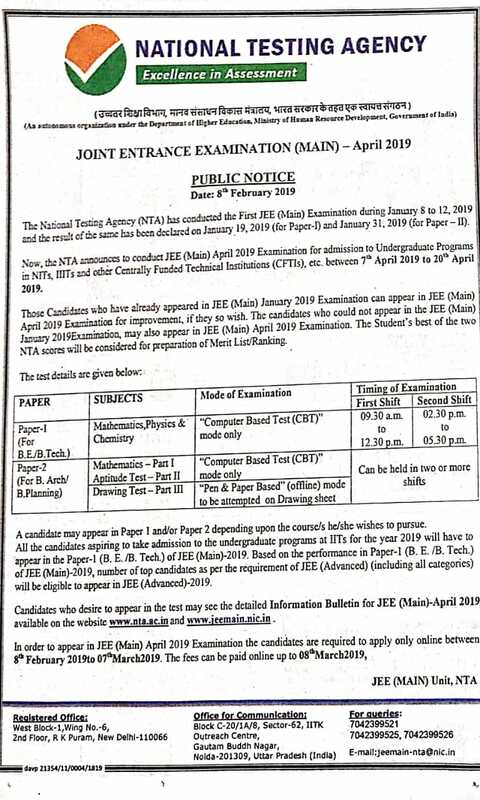 The NTA or National Testing Agency successfully conducted the its First JEE Main Examination, which was conducted on January 8 to 12, 2019. The results have been declared on January 19, 2019 for Paper-I & January 31, 2019 for Paper-II. Now NTA is ready to conduct the Second Examination for admissions to Undergraduate Programs in NITs, IIITs and other Centrally Funded Technical Institutions (CFTIs), which will be conducted in April 2019. NTA has announced the important dates and other information regarding April 2019 Examination. 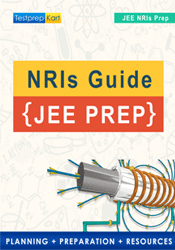 Before that, NTA has also announced that candidates who appeared in JEE Main 2019 January Examination can also appear in JEE Main April 2019 Examination for improvement, if they want. Also, candidates who didn’t appear in JEE Main January 2019 Examination can appear in JEE Main April 2019 Examination. The best score will be used to prepare the Merit List. Candidates who wish to take admission in undergraduate programs in IITs 2019 have appear in the Paper-I of JEE Main 2019 Examination. The top candidates, as per the requirement of JEE Advanced, will be eligible to appear for JEE Advanced 2019 Examination.